– As long as the borrower has a minimum FICO score of 580 then they are eligible to qualify for an FHA Loan with 3.5% down payment, however the maximum debt to income ratio is 43% in order for the borrower to receive an approve/eligible from AUS or the Automated Underwriting System. – If the borrower has at least a 620 FICO credit score then the borrower can obtain an FHA Loan with 3.5% down and the debt to income ratio increases from 43% to 56.9% with a front end ratio of 46.9%. – There is still hope for the borrowers with a FICO credit score of 500-579 and that is they can qualify for an FHA Loan with 10% down and additional Compensating Factors to strengthen their case to underwriters. Unlike some lenders who have an abundance of lender overlays that require you to jump through hoops to get a loan, here at Loan Consultants we try to work with the minimum guidelines, and even then, your credit scores might need some help. Below is some advice on how you can increase your credit scores in order to comply with the 2017 FHA Minimum Credit Score Requirements. The first thing you can do is to try and get up to 3 secured credit cards with a maximum balance of at least $500 for each card. For every secured card you obtain, you can gain up to 20 points in your FICO credit score. If you have a family member either living at your address or at least has the same last name, you can be added as an authorized user to their card. Becoming an authorized user will take that individuals positive credit history and it will be included on your credit report. If you have medical collection accounts then you are in business because FHA Guidelines declare medical collections exempt. If you have medical collections that are active, you can always dispute these accounts. Placing a dispute on an account will remove its impact from your FICO score and it will be treated as if it is not there. 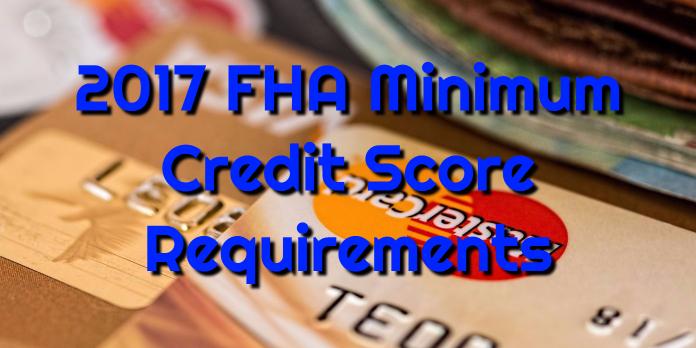 As you can see there is a big difference between 2017 FHA Minimum Credit Score Requirements and what most lenders are going to try and enforce. If you want a to work with lenders who do loans to the minimum requirements then give us a call today at 888-900-1020 or email us at contact@loanconsultants.org. We look forward to hearing from you any time day, nights, weekends, and holidays in order to help you!